If you haven’t visited the Universal Orlando Resort recently, you’re missing out on so much more than just another theme park. Since opening back in 1990, Universal Orlando has gone from just a single park – to multiple parks, hotels, and an entertainment complex. It’s filled with great food, family fun, and of course, amazing rides. 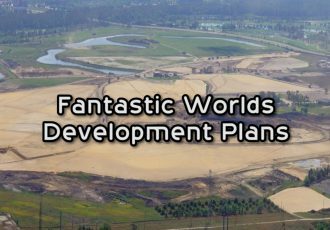 And there’s no end in sight to Universal’s incredible growth. Every year new attractions and hotels are still being added, cementing it as one of the best travel destinations in the world. 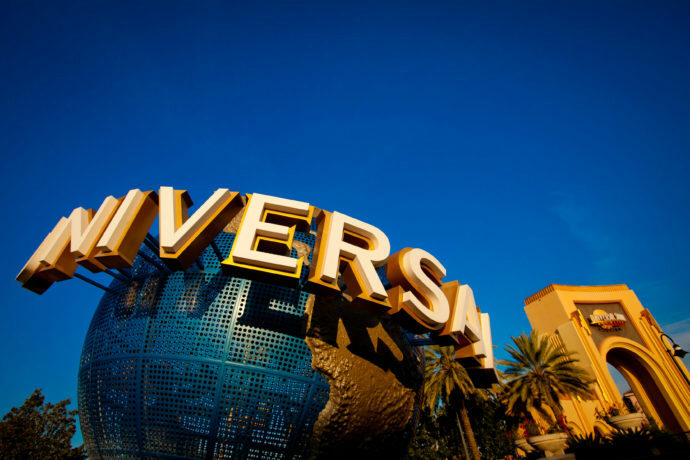 Here are 10 reasons why you need to visit Universal Orlando soon. Even if you did just a few years ago, you’ll be shocked by how much has already changed! Universal is constantly pushing the boundaries for what an attraction can be. They broke the mold with The Amazing Adventures of Spider-Man and then shattered it again with Harry Potter and the Forbidden Journey. Rides like these are so fun and innovative that there’s still nothing else like them in the world. 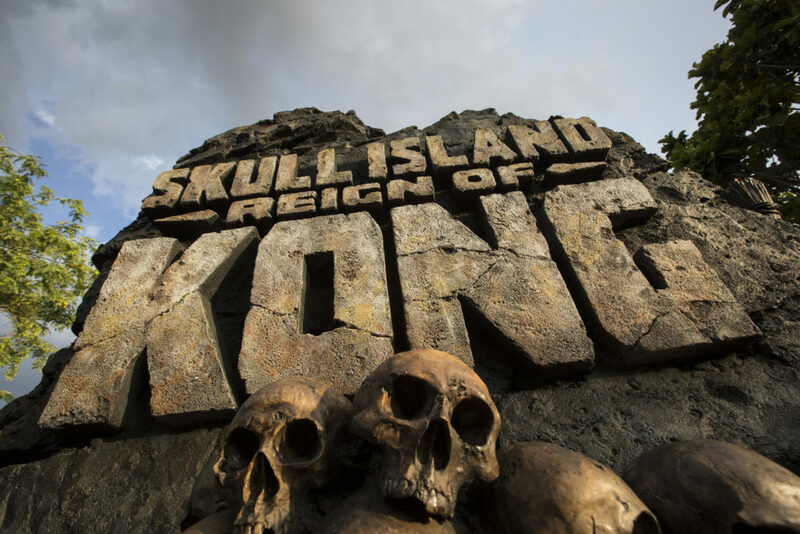 New attractions like Skull Island: Reign of Kong and Fast & Furious: Supercharged put you in the middle of the action like never before, surrounding you in 360 degrees of excitement. 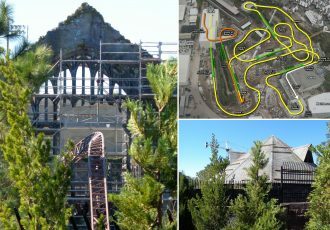 Universal’s impressive slate of thrill rides have won countless awards as well, including The Incredible Hulk Coaster and Revenge of the Mummy. #9 – New Rides EVERY Year! 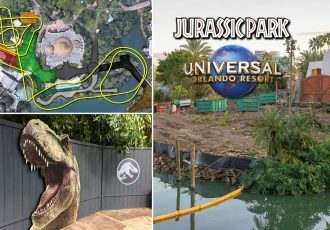 Universal Orlando has opened at least one new attraction every year for nearly a decade, and they’re showing no signs of stopping! From The Wizarding World of Harry Potter and Transformers: The Ride 3D, to an entirely new theme park with Volcano Bay, there’s always something new to experience. Opening in the coming years will be a brand new roller coaster themed to the Wizarding World, along with a new show replacing T2: 3D, and a new nighttime spectacular for Universal Studios Florida. 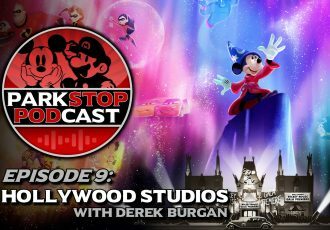 Mario Kart and Super Nintendo World will be coming to Universal Orlando in the coming years as well. 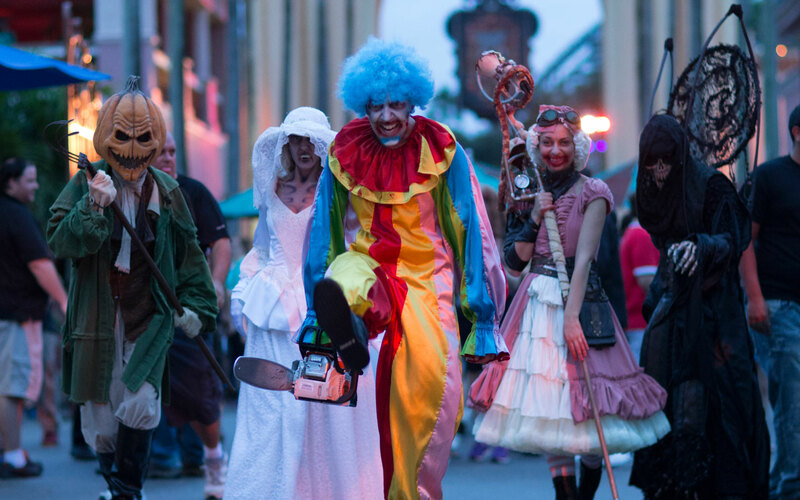 Halloween Horror Nights is the nation’s premier Halloween event. This special ticketed event goes on after Universal Studios closes for the day. That’s when the park takes on a more sinister tone, and the hordes of horrifying monsters and maniacs take to the streets. Explore the best themed haunted houses you will ever experience, brave scare-zones around the park, and see outrageous live shows. The level of detail and thought given to this event makes it like visiting an entirely different theme park. If you’re into haunted houses, schedule your vacation during September or October and prepare to be scared to death. It does not disappoint. Visit the resort in the Spring to take part in the Mardi Gras celebration, Florida’s biggest party. 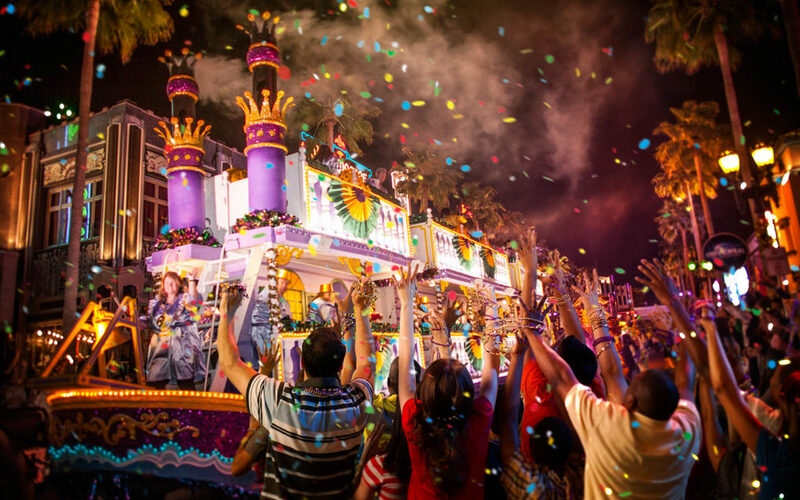 Take in the colorful parade every night of the event and catch some beads. Plus, you can attend free concerts on the weekend featuring some of the biggest names in music. And it’s all included with your park admission! 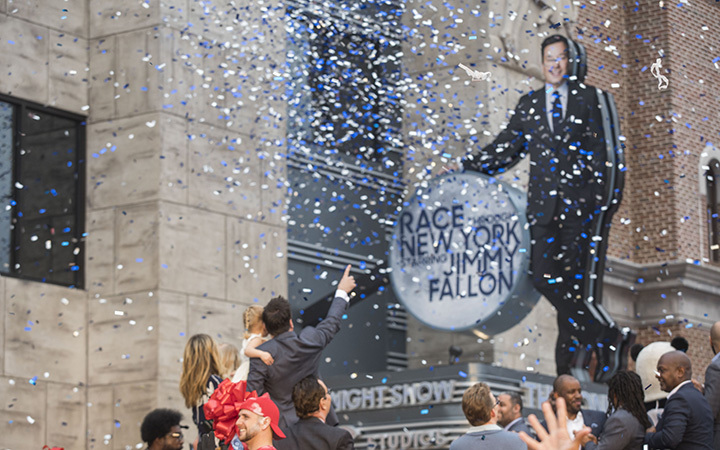 During the holidays the parks come alive with special Christmas shows, elaborate decorations, and even a all-new Holiday Parade Featuring real Macy’s balloons! 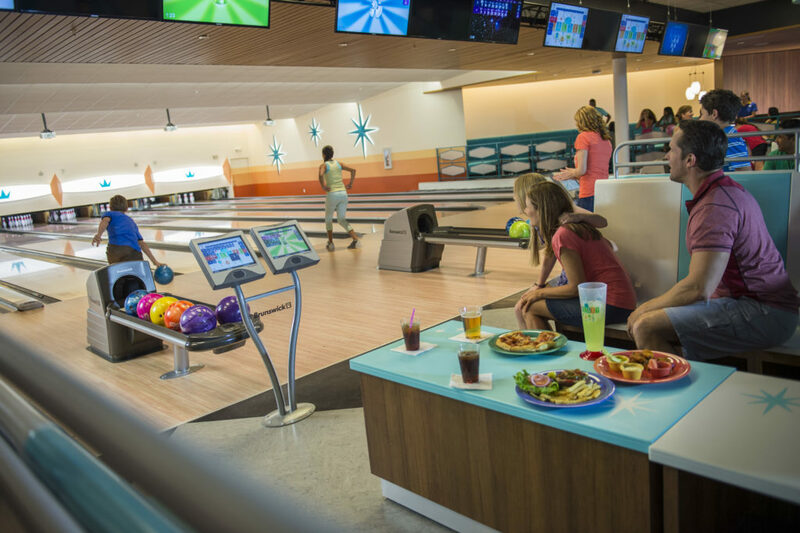 Universal CityWalk Orlando has been completely reinvented in recent years, with all new experiences being added all the time! 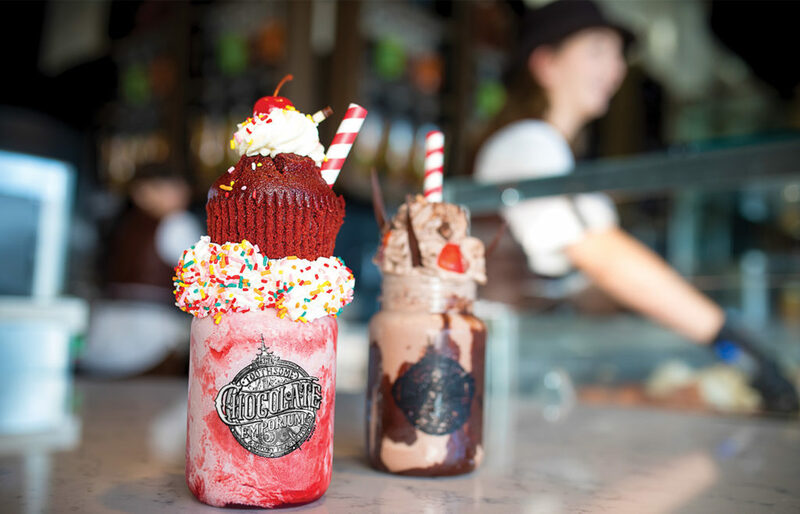 The Toothsome Chocolate Emporium is a restaurant like no other, where everything is made with chocolate, even the entrées! But the real stars at Toothsome are the gigantic milkshakes, with some so big they have their own slice of cake on top! CityWalk also features quick and full-service restaurants, shopping, and even nightclubs to keep the fun going after the parks close. After a day at the parks you can catch an incredible show featuring the world-famous Blue Man Group or relax with a drink in Margaritaville. One of the best parts about staying on-site at Universal Orlando Resort, is just how close you are to everything. You’re never more than a quick water taxi ride away from the parks or CityWalk. You could even walk if you wanted to. The resorts are incredibly well-themed with amazing pools (and yes you can pool hop from resort to resort!) Some of the hotels even include free Express Passes for everyone in your family, which can be invaluable during the busier times of the year. Plus, there’s entertainment and dining options at all of the resorts like the amazing Wantilan Luau buffet and show at Royal Pacific. Cabana Bay Beach Resort even has a bowling alley inside! How cool is that? #4 – Food Food FOOD! 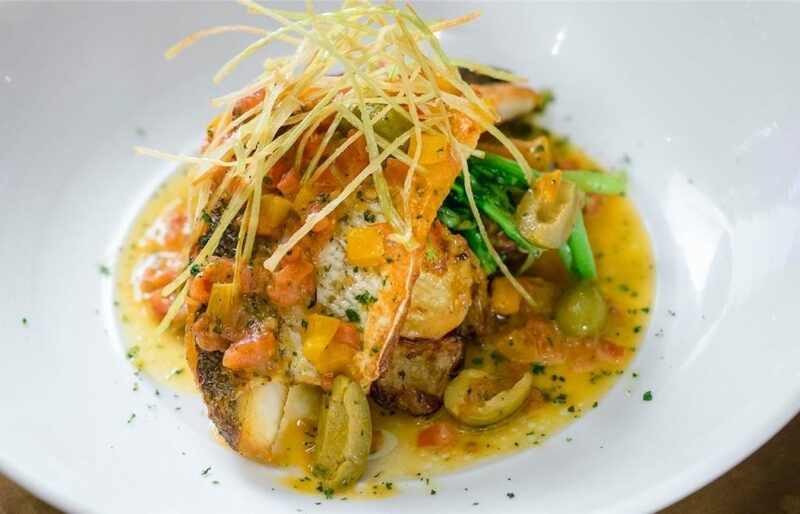 Some of the best places to dine in all of Orlando can be found here. Finnegan’s Bar & Grill will always be my favorite restaurant in any theme park. The prices are reasonable, the food and drinks are incredible, and you really cannot beat the service! Harry Potter fans will love trying the more than 100 types of specialty candies, treats, drinks and dishes of the Wizarding World. All of the hotels feature their own dining establishments worth checking out like The Kitchen at Hard Rock Hotel, home of the famous Kitchen Sink challenge, (bet you can’t eat it all!) And of course CityWalk is filled with lots of new and original restaurants to try like VIVO Italian Kitchen, where the bread, pizza dough and even the pasta is made fresh in-house. 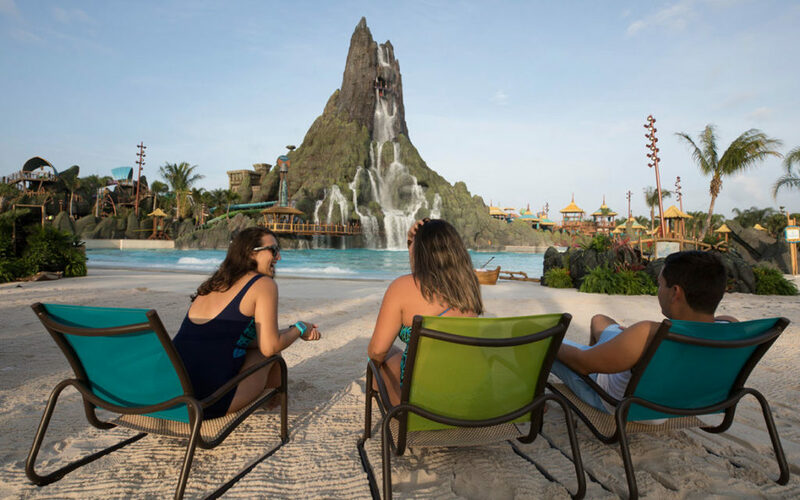 Universal Orlando’s third park is the tropical getaway known as Volcano Bay. This state-of-the-art water park is home to the tallest water slides in the world, along with several lazy rivers, and a breathtaking wave pool. The greatest thing you’ll ever do is ride the Krakatau Aqua Coaster, a brand new type of ride for Orlando. This ride uses linear induction motors to propel riders up hills, the same technology used in roller coaster launches! The entire park is themed as a lush tropical jungle, so relaxation is a breeze. Even the food at Volcano Bay is tropical, and there’s several boat bars offering colorful mixed drinks for kicking back at your cabana. The theme parks at Universal Orlando offer something for everyone. There are thrilling coasters and water rides for the adrenaline junkies, shows for families, rides for kids of all sizes, and some of the best themed play areas for little kids anywhere in the world. Children under three get in free and there’s lots of play areas designed just for them around the parks. 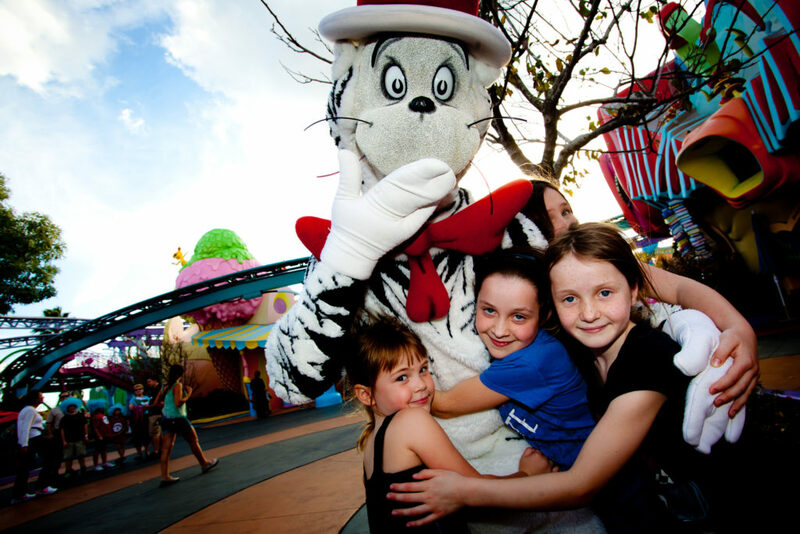 Kids love exploring the world of Dr. Seuss and running from dinosaurs at Jurassic Park in Islands of Adventure. And everyone loves the rides based on their favorite movies like Despicable Me: Minion Mayhem at Universal Studios Florida. 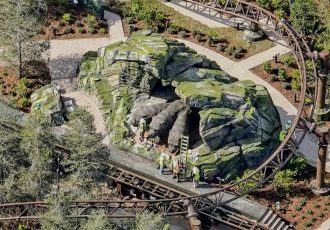 Explore the most immersive theme park lands ever created, spread across two theme parks, to see locations from the hit films and beloved books brought to life. Diagon Alley and the village of Hogsmeade are so dense and filled with things to do that you could easily spend multiple days exploring just these lands. There are dozens of spell locations where you can interact with the world using wands. 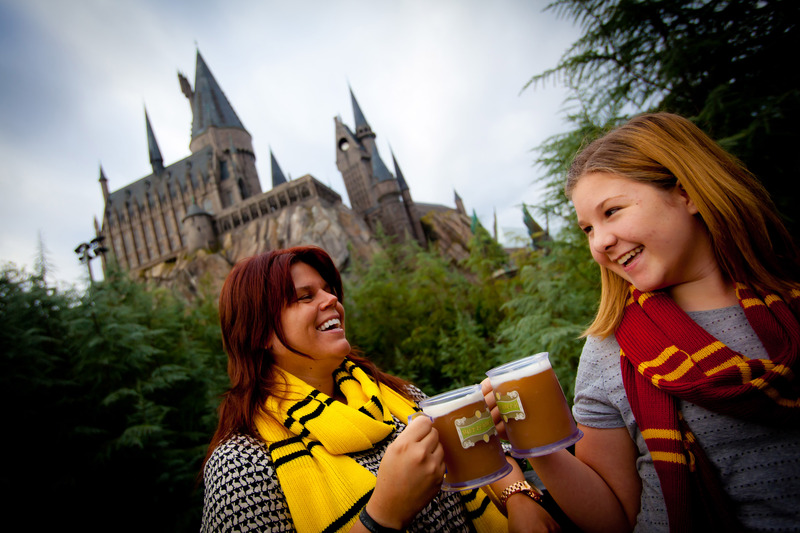 There’s several restaurants where you can try Butterbeer and Wizarding treats like Chocolate Frogs. And the rides put you right into the action of the Harry Potter film series. You can even ride on the Hogwarts Express train to travel between lands! There is absolutely nothing like this anywhere else in the world.